Optimizing your supply chain can save you a fortune. MCM Enterprise offers a complete “pick and pack” service that saves you both time and money. Our services allow you to expand or contract inventory based on demand, which enables your company to squeeze costs out of your supply chains and maximize profits. When operating at a large scale, it is even more important to choose a company with a strong track record in logistics and experience providing fulfillment services. We currently provide high-volume pick and pack operations for a number of highly respected companies in the fashion and apparel industry. With an established labor force, proven processes, and state-of-the-art packaging equipment, we are the smart choice for orders of any size. 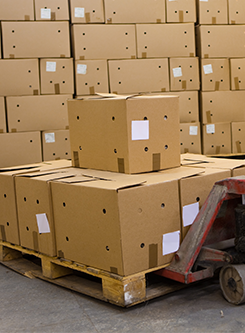 Public warehousing offers a host of advantages over private warehousing. Labor and operating costs are typically lower, because labor can be allocated across customers. You’ll also be able to save money by consolidating shipments with other customers at the same facility. Contract terms are also shorter and more flexible, for your convenience.